Kid's favourite super hero comics turned into easy-to-read chapter books. New stories with original art by DC illustrators, these books are colourful, attractive and accessible. 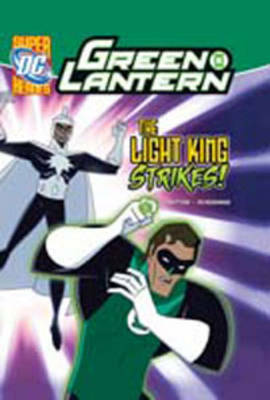 "Green Lantern": A green ring from another world offers test pilot Hal Jordan incredible powers to fight crime. The excitement and adventure in these never-before-told stories is out-of-this world.